Inspired by the teachings of A Course in Miracles, we are dedicated to inner peace and awakening. We desire to know God, to experience His love, His peace, and His will for us consistently, and we know that joining together in our shared purpose is the most joyful way to invite Him into our awareness. 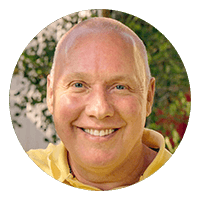 Our approach is based on David Hoffmeister’s teaching of the practical application of A Course in Miracles, focusing on the Guidance of the Spirit within. This single-pointed approach is one where absolutely everything in daily life is used for one Purpose; to come to the experience of forgiveness and true freedom. Book: This Moment Is Your Miracle — Spiritual Tools to Transcend Fear! Videos: The deepest ACIM teachings online! Conferences & Retreats: See what's coming up! Movies: The fun way to Awaken! The spiritual awakening is happening and we’re not personally making it happen. That’s the Spirit’s job—ours is to get out of the way! We are opening up to the truth and the awareness of love’s presence—it’s inevitable. Go with the flow and we’ll ride the wave together!